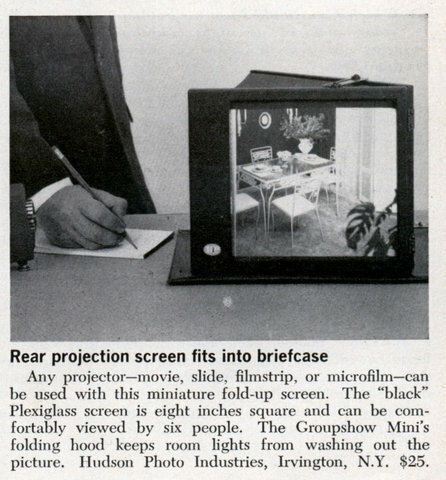 Any projectorâ€”movie, slide, filmstrip, or microfilmâ€”can be used with this miniature fold-up screen. 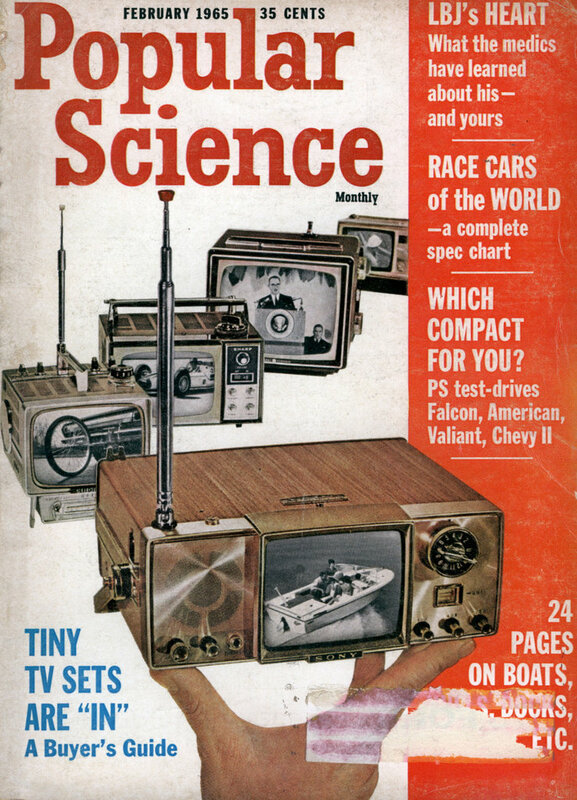 The “black” Plexiglass screen is eight inches square and can be comfortably viewed by six people. The Groupshow Mini’s folding hood keeps room lights from washing out the picture. Hudson Photo Industries, Irvington, N.Y. $25.